The editorial board of USA Today has said President Donald Trump is "unfit to clean the toilets" in Barack Obama's library or shine George W Bush's shoes. 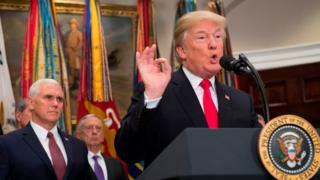 The scathing editorial comes after Mr Trump claimed a female senator "would do anything" for campaign cash - words which some regarded as sexual innuendo. "Rock bottom is no impediment for a president who can always find room for a new low," the newspaper added. USA Today is not known for publishing such blistering editorials. One of the nation's highest-circulated newspapers, it usually includes an "opposing view" column with each opinion piece. But during the 2016 election, the newspaper broke its tradition of not endorsing a presidential candidate by publishing an editorial outlining why, it argued, Mr Trump was "unfit for the presidency". Although USA Today did not endorse his challenger Hillary Clinton, it told their readers to vote "just not for Donald Trump". Its latest editorial came a day after Mr Trump tweeted that New York Senator Kirsten Gillibrand had "come to my office 'begging' for campaign contributions not so long ago (and would do anything for them)". Mrs Gillibrand earlier this week called on Mr Trump to resign over allegations of sexual harassment by multiple women. By Wednesday, five other Democratic senators had joined her call. 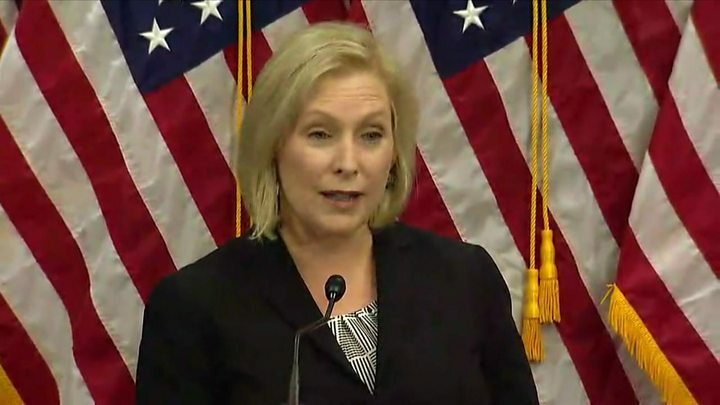 USA Today responded: "A president who would all but call Sen Kirsten Gillibrand a whore is not fit to clean the toilets in the Barack Obama Presidential Library or to shine the shoes of George W Bush. "This isn't about the policy differences we have with all presidents or our disappointment in some of their decisions. "Obama and Bush both failed in many ways. They broke promises and told untruths, but the basic decency of each man was never in doubt." White House spokeswoman Sarah Sanders said Mr Trump was referring to political corruption in his tweet about the New York senator, and dismissed the notion that his words were sexist. "I think only if your mind is in the gutter would you have read it that way," Ms Sanders told Tuesday's daily press briefing. The USA Today piece goes on to describe Mr Trump as "uniquely awful", and having an "utter lack of morality, ethics and simple humanity". Nearly 60 congresswomen have urged Congress to investigate claims against Mr Trump of sexual harassment and groping. Mr Trump said this week Democrats were seeking to capitalise on "the false accusations and fabricated stories of women who I don't know and/or have never met. FAKE NEWS!" The White House press secretary later qualified the president was only referring to three Trump accusers who appeared at a news conference on Monday. That clarification came after one accuser offered photographic evidence of her meeting Mr Trump in December 2005. 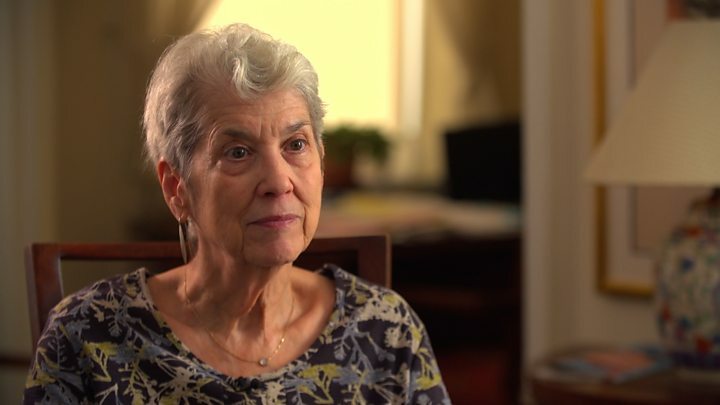 The former writer for People Magazine claims Mr Trump pushed her against a wall and "forc[ed] his tongue down my throat" when she interviewed him at his Florida resort Mar-a-Lago.